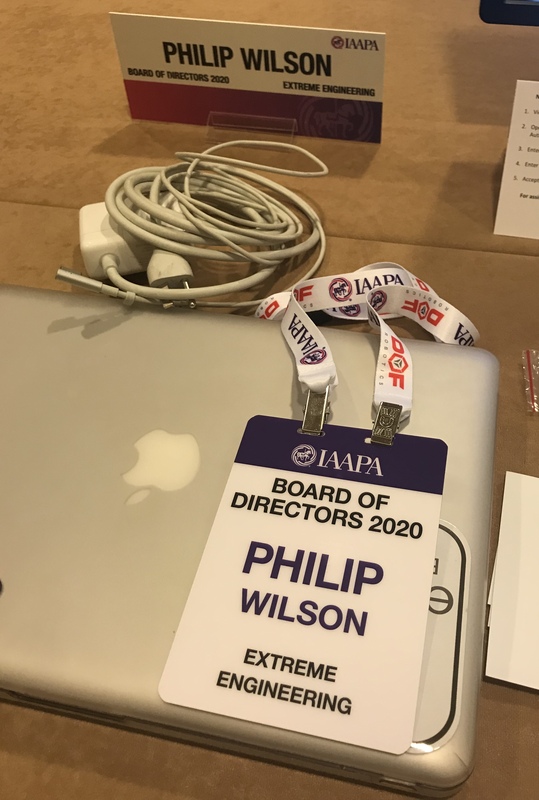 Sacramento, CA (November, 2017) – Phil Wilson, Executive Vice President with Extreme Engineering, has been elected to serve on the IAAPA (International Association of Amusement Parks and Attractions) board of directors through 2020. Wilson’s board position, “Manufacturer and Supplier Director,” is responsible for supporting over 1,200 manufacturers and suppliers across the globe. “I’m extremely excited about my next chapter in the amusement industry…I’m still in shock really,” states Wilson. 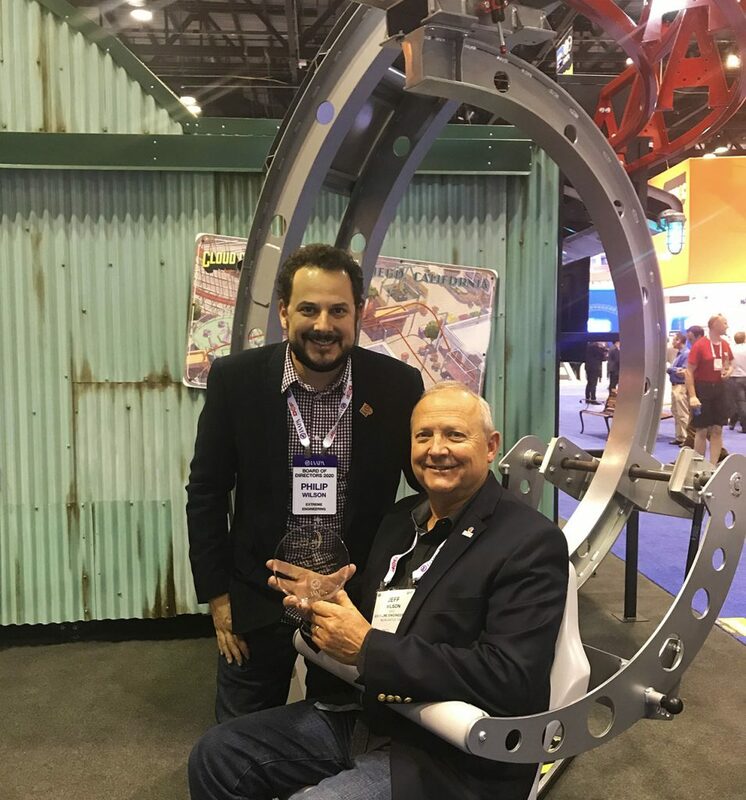 Next year will mark IAAPA’s 100th year anniversary with the slogan “Celebrate the past – Build the Future.” IAAPA will be focusing on future growth, leaning towards the next generation of industry professionals to continue positive growth in the industry. “As the industry continues to reach major milestones, such as its 100th year, the future generations have such a massive opportunity to shine and provide an impact in our industry,” says Wilson. Today there are over 300 family owned and operated businesses in the amusement industry, many of which are being taken over by the next generation of family members. IAAPA, being the business of fun, is also the business of family. There are many changes for the association in 2018, all of which are a representation of building the future. IAAPA has moved their headquarters to Orlando, Florida with plans to build a state-of-the-art facility that focuses on its members. The new IAAPA chairman of the board and CEO of Liseberg in Sweden, Andreas Andersen, has officially started his new IAAPA role during the trade show this November. 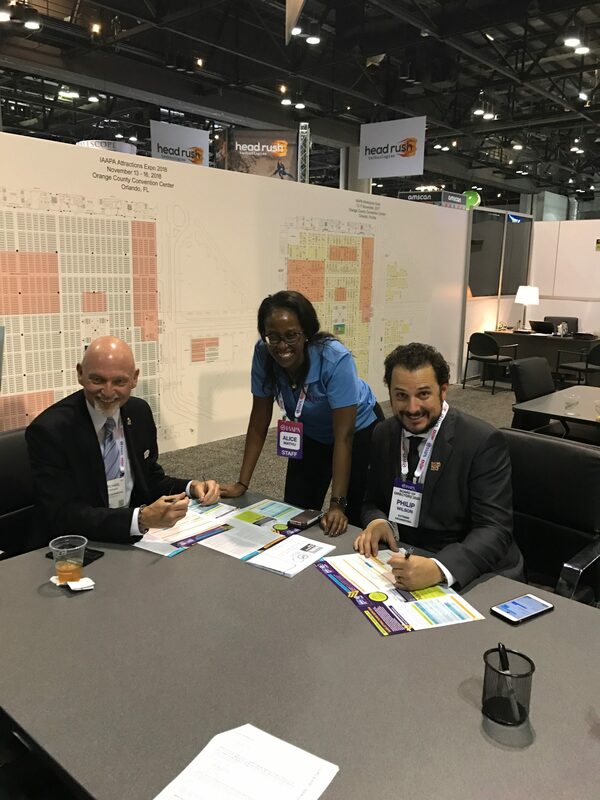 IAAPA also has future goals to open regional offices across the globe, making the association more accessible to its members. Pictures: (Right) – Chris Weaver with Sally Corp., Chloe Hausfeld with JRA, Jeff and Phil Wilson with Extreme Engineering and Hudson Wood with Wild Adventures Theme Park. (Left) – Lauren Wood Weaver and Greg Eccles with Sally Corp.
“It’s a huge honor and a great responsibility. I’m looking forward to giving back and doing my very best in representing such an important part of our industry. The M&S members of our association are the forefront of innovation, opportunity, and creation,” says Wilson. IAAPA will kick-off with their new logo, representing the 100th year anniversary, at the beginning of the new year. “2018 is going to be an amazing year for all of us. There is so much growth, opportunity and emerging markets that will only benefit the M&S community,” states Wilson.